The recent fires that swept through California are a grim reminder of how life can change in a flash. What started as a small brushfire quickly spread to several thousand acres leaving a path of destruction in its wake. Los Angeles County wasn’t totally spared from fire season this year. Unlike on the East Coast where there is a dedicated hurricane season, fire is a problem for California all year long. It is important to have an evacuation plan for your family regardless of where you live. Is equally important to know how you might take care of any potential cleanup or debris removal. That can be an overwhelming job if you tried to do it on your own. Thankfully, a company like Junk King Los Angeles has a lot of experience with these types of clean up and is always standing by to lend a hand. Working with Junk King Los Angeles means you’ll have a dedicated crew to your debris cleanup task. This is a team that will show up at the appointed hour and won’t leave until you are completely satisfied. The amount of what you have to clear way would never be an issue with Junk King. In fact, if they make the assessment that you would need additional crews and trucks that they will quickly dispatch those to your location. It’s not unusual for Junk King to take this approach especially with a major debris cleanup that might be left over after a natural disaster. Debris cleanup usually means clearing away things that are officially useless. However, they might be a way for them to be recycled. If there is any material that can be pulled from the debris pile and turned into recyclables, then Junk King will make it happen. They have partnerships with recycling centers all throughout the area. They know what these facilities are looking for on any given day. You’ll have to do any of this research. Junk King has it covered. You might also benefit from working with Junk King to clear way brush and other rubbish that might prove to be hazardous. As they say, an ounce of prevention goes a long way. You should never have to stress over debris cleanup as long as Junk King Los Angeles is just a phone call away. 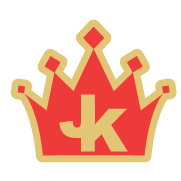 This entry was posted in LA Junk Removal and tagged debris cleanup, fires, junk king on October 22, 2017 by Junk King. Last updated October 22, 2017 .